Essentially Lightroom&apos;s Flash output is an interface to this AMG component, and there&apos;s nothing at all to prevent you from generating the XML from another program such as Portfolio or iView, and using that data to power the Adobe Media Gallery&apos;s Flash movie. The attached VB code is my first attempt for iView. 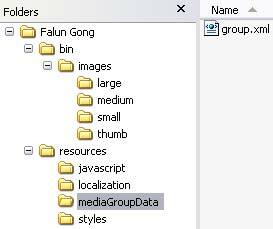 It regenerates the group.xml file, and you will need two iView Convert Images settings files, and a little confidence in hacking my code. It&apos;s completely unsupported, but let me know if you try it.